For those who want to drink close to where they sleep. 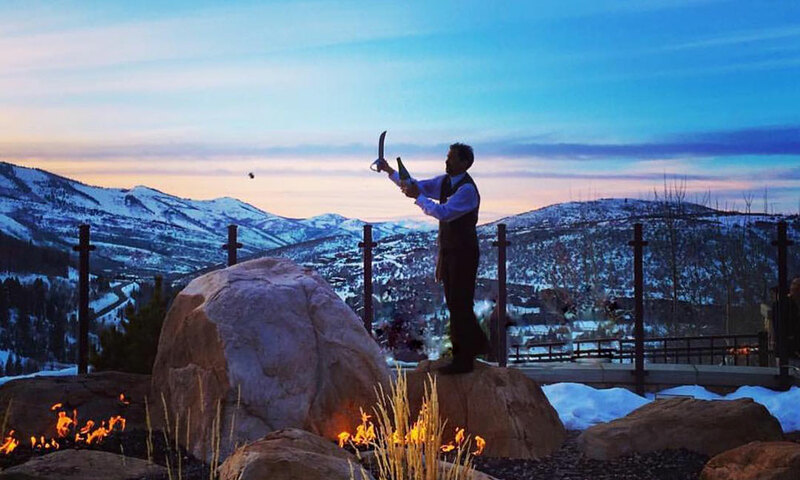 Bask in phenomenal views of the Park City valley as you enjoy your favorite cocktail or a romantic dinner. Make sure to stick around for the unique champagne sabering ritual at 5:30 pm, every evening. 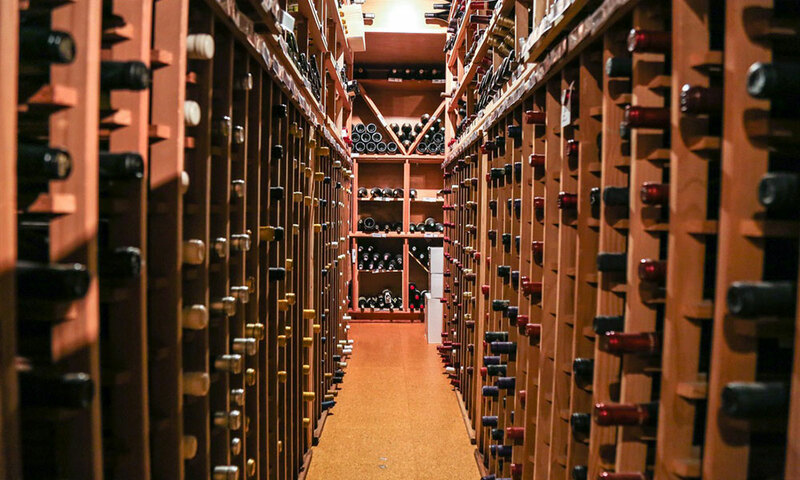 With over 10,000 bottles of wine, Stein’s Wine Cellar is truly an experience. Take a tour of the vault, which is completed by a tasting facilitated by a certified sommelier, or order a glass while enjoying the fine dining of Troll Hallen Restaurant. 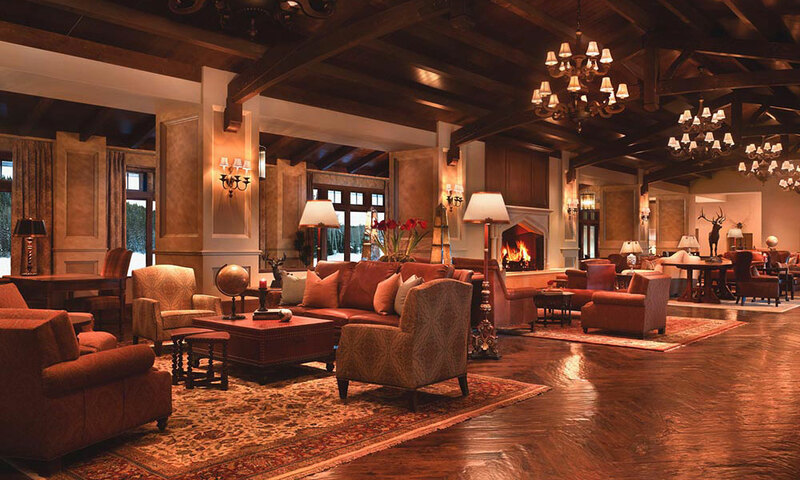 Boasting an unforgettable view and fantastic cheese fondue, this comfortable lounge is the perfect place to cozy up next to the fireplace while enjoying a handcrafted cocktail or to take in the scenery with a cold beer in your hand. During the winter, check out the unique ski-in/ski-out yurt attached, which still serves your favorite drinks. Partnering with Park City brewery, Waldorf Astoria launched the hotel’s first signature craft beer, “Pow Day.” Sip on this crisp pale ale or a modern cocktail while enjoying the delicious small plates at this bar. Daly’s pub offers endless entertainment, no matter your age. 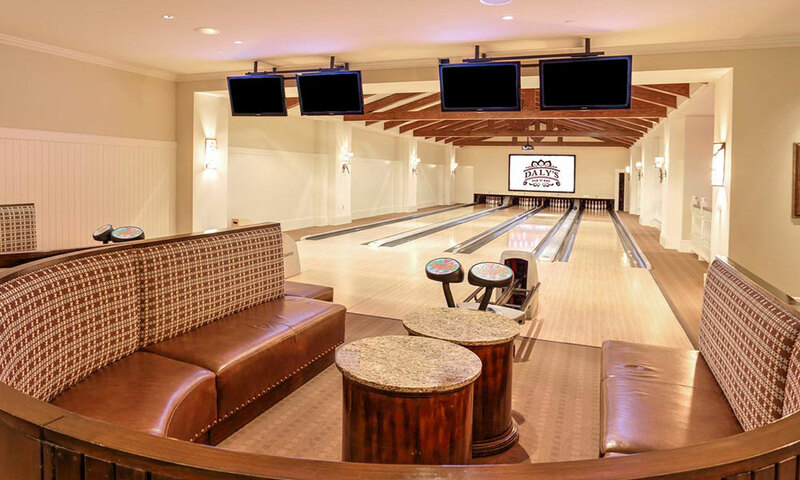 Take your shot at several of your favorite bar games, including shuffleboard and foosball, head straight to the arcade games, enjoy a round of bowling, or simply grab a local microbrew, put your feet up, and relax. 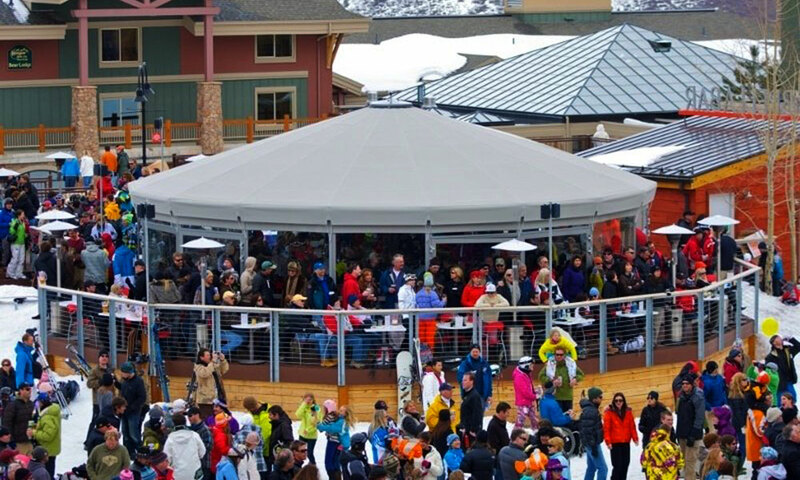 Continually voted as the best après ski spot in Park City, the Umbrella Bar’s classic outside patio is the place to be for snowboarders and skiers alike. Enjoy cheap PBR, local brews, and live music, all while still in your helmet and ski boots. Tucked into the Park City base area, this casual bar is a go-to when the lifts close. 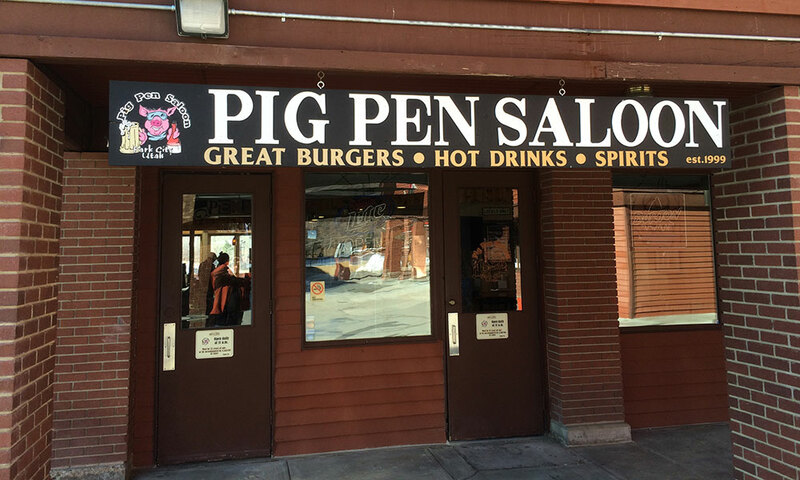 Take advantage of some of their famous specials, including the Bacon Bloody Mary or the shirt and shot special. 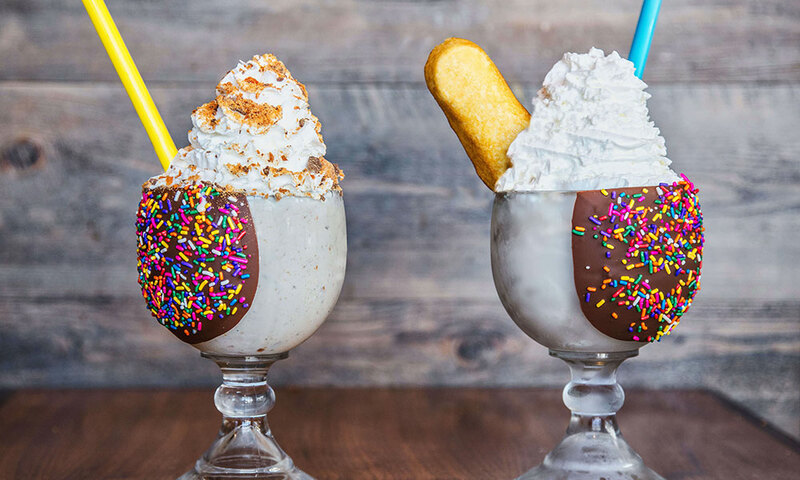 You haven’t done après right until you’ve tried one of Drafts Burger Bar’s milkshakes. Served in a chocolate-and-sprinkles dipped glass and topped with full candy bars or Twinkies, they are truly a treat. Plus, enjoy their burgers, wings, and selection of beer. Try the delicious cocktails featuring local ingredients and flavors, including Utah-made liquor and honey. 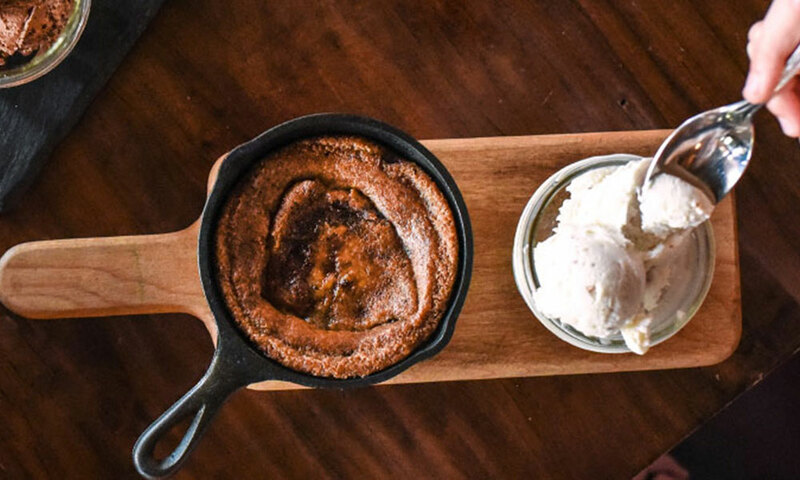 Then, indulge in your favorite bar-snacks with a unique Deer Valley twist, including bourbon-glazed wings, Chimichurri chips, and a chocolate chip cookie skillet. 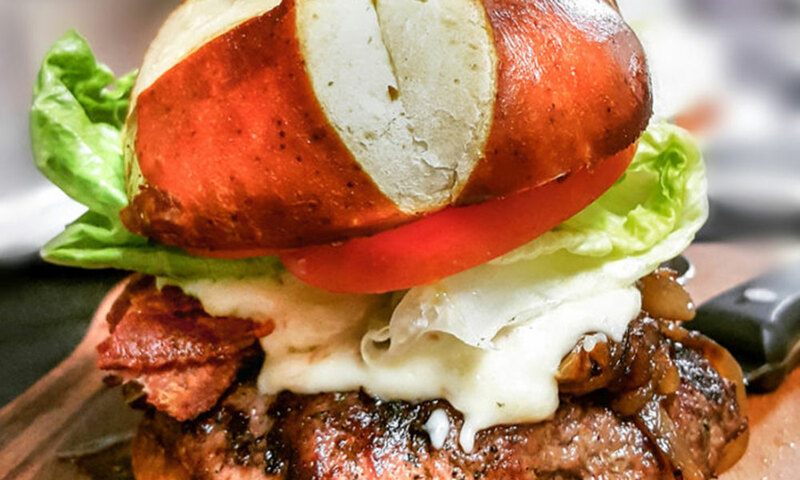 Located directly on Main Street, the Butcher’s Chophouse serves a variety of signature cocktails, all-time favorites, full-strength beers, and glasses of wine. 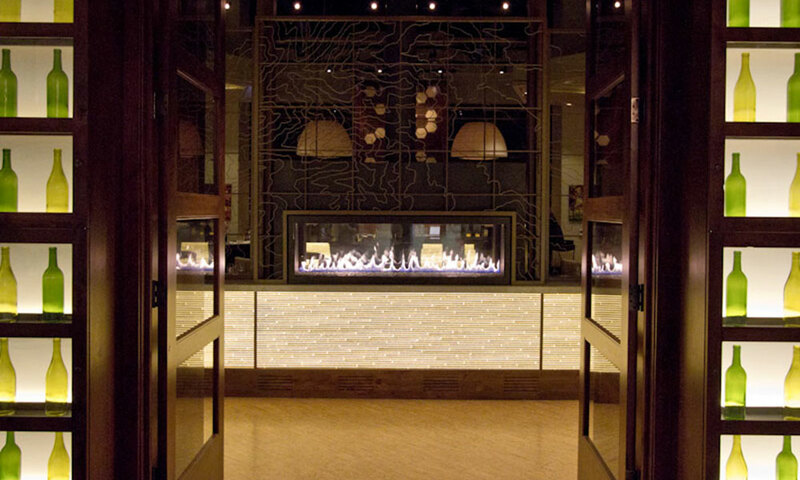 Sit at the bar for a quick drink or indulge in the delicious steak the chophouse serves. 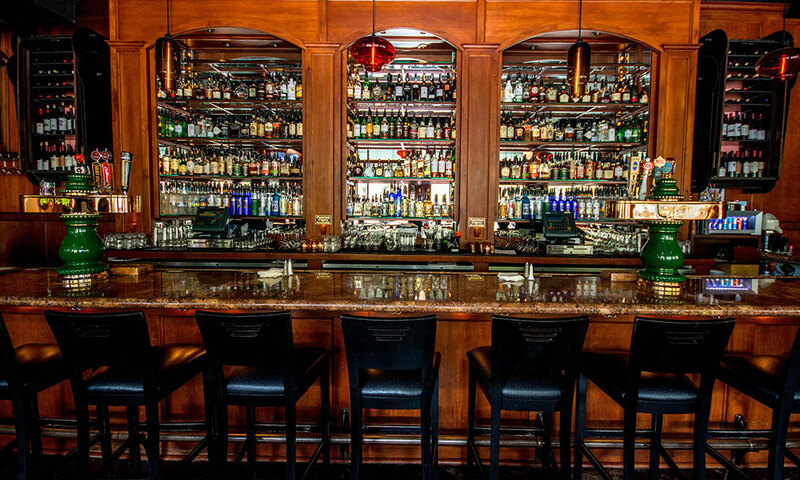 Originally opened in 1907, the Tavern is Park City’s oldest bar. 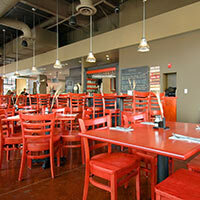 Try a wide variety of drinks and bar food with a modern twist in a central Main Street location. 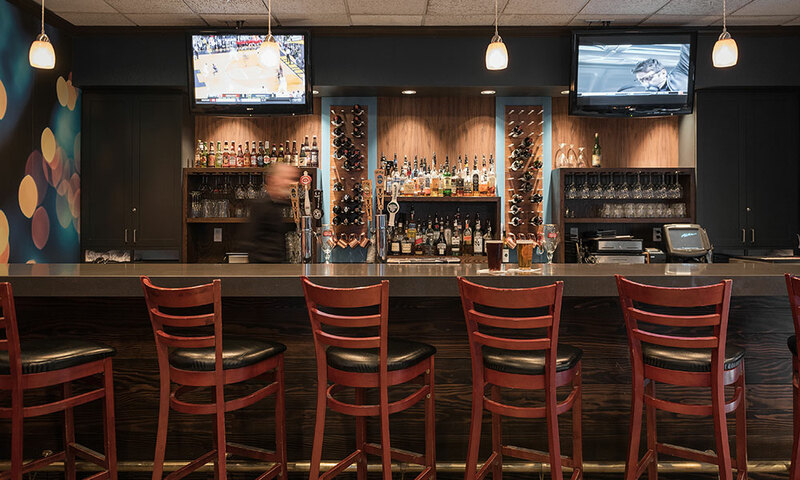 With a classic sports-bar feel, the Vertical Lounge is a great place to catch your favorite game while enjoying your favorite brew or classic cocktail. Be sure to try the Vertical Margarita, a Vertical Lounge favorite, before you catch an uber or bus to the Main Street bars. 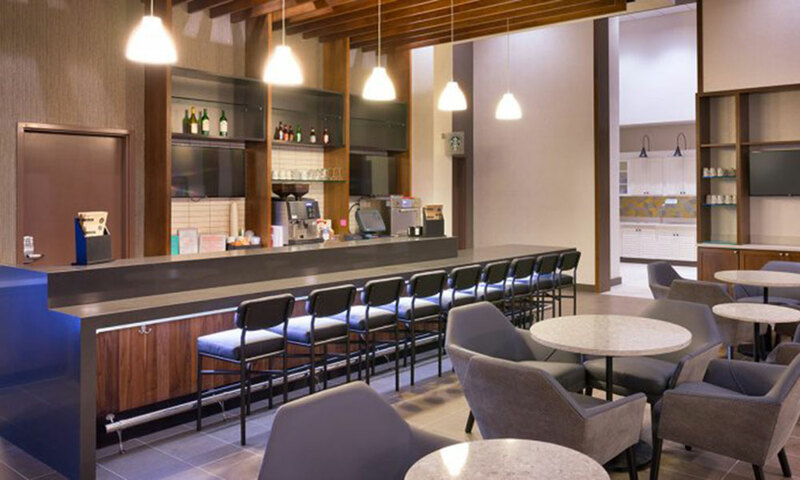 Enjoy an extensive pizza, pasta, and sandwich menu in addition to a range of specialty cocktails at this newly renovated bar and restaurant. 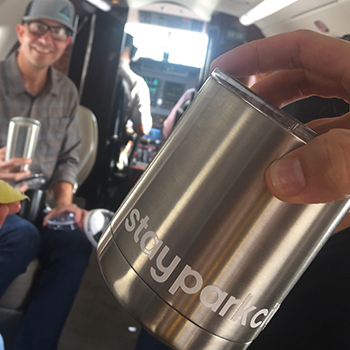 Situated a mile from downtown, it’s easy to access the strip of bars and breweries via a 15-minute bus ride or 5-minute car ride. Grab your go-to cocktail or a simple glass of wine at this cliché hotel bar. 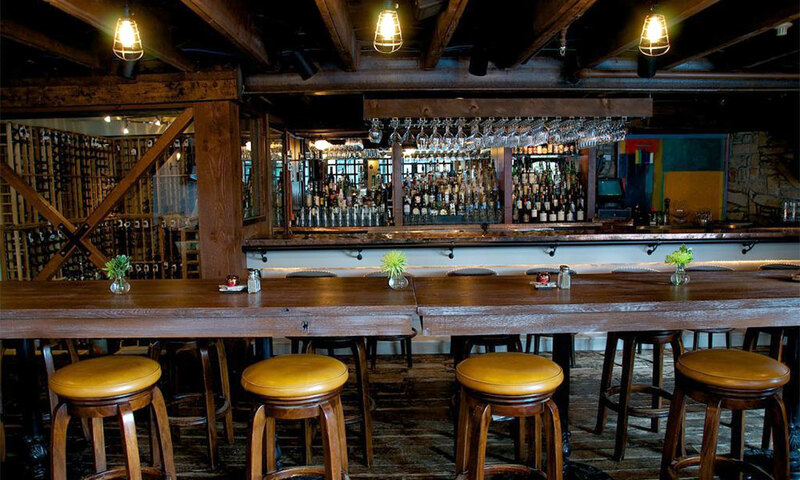 Serving all the basics, it’s the perfect place for a welcome drink or nightcap. Plus, in the morning it transforms into a coffee shop, so you can start your day on the right note. 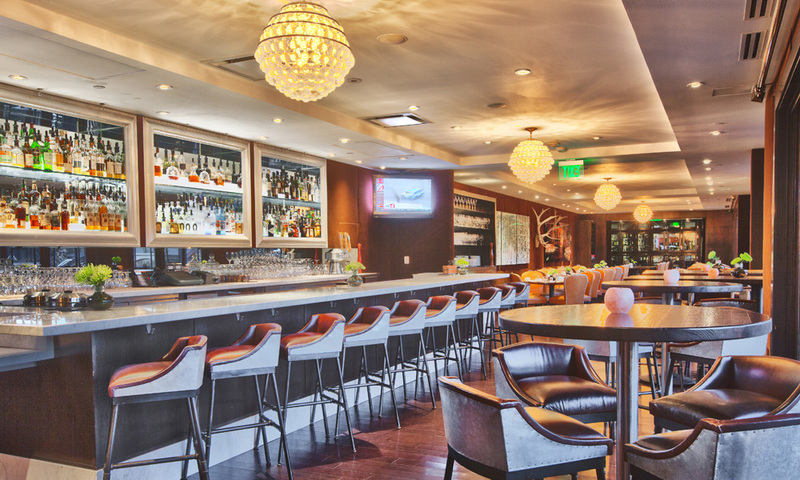 Open for breakfast, lunch, and dinner, this hotel bar has six different food menus, depending on the time of day, as well as a full drink list. Grab a drink or small bite before heading back out on the slopes of Canyons ski area. 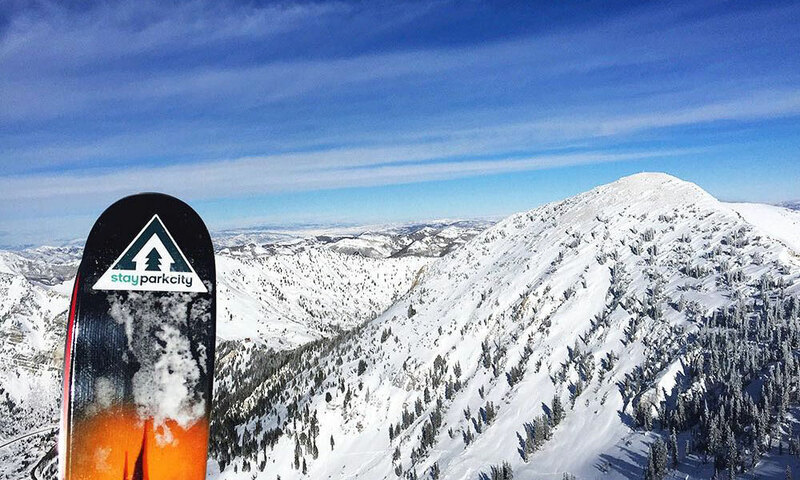 If you’re feeling like branching out from the hotel bars, these are the best places to grab a drink in all of Park City. 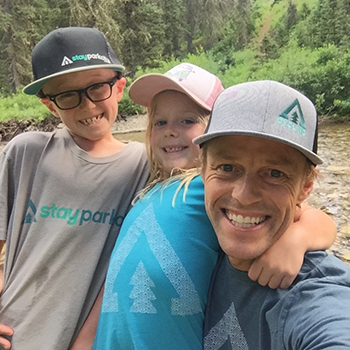 I was planning to go on a ski holiday this year with my family and wanted to give a surprise to my husband by booking such a amazing place to stay as he always loves to stay in such a beautiful places. And I must say this is really great as well as helpful info for me. Thanks for sharing.